Josh van der Flier is set to miss the rest of the season after he underwent surgery on his groin last week. The Leinster and Ireland flanker has been ruled out for 12 weeks as looks to recover in time for the World Cup. 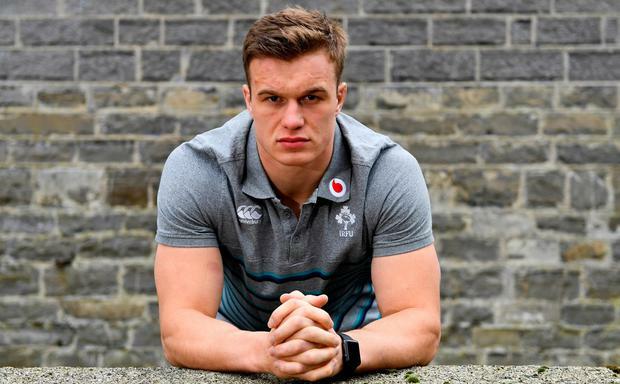 Van der Flier suffered the injury in the Six Nations win over France earlier this month in what is the latest cruel blow for the 25-year old. Leinster head coach Leo Cullen also confirmed this morning that Robbie Henshaw saw a specialist in the UK as he looks to get to the bottom of his dead leg issue. The centre is "less likely than likely" to feature in Saturday's Champions Cup quarter-final against Ulster. "Whatever way the tear in the muscle was... the dead leg was initially what the cause of concern was but there was a little bit more damage a bit deeper in,” Cullen revealed. Sean Cronin and Noel Reid are both following return to play protocols after suffering head knocks in last week's defeat to Edinburgh. Ross Byrne, who was a late withdrawal from the trip to Scotland due to “tightness in his foot”, will be assessed as the week progresses. In more positive news however, Dan Leavy, Luke McGrath, Joe Tomane and Nick McCarthy all came through their first game back unscathed.